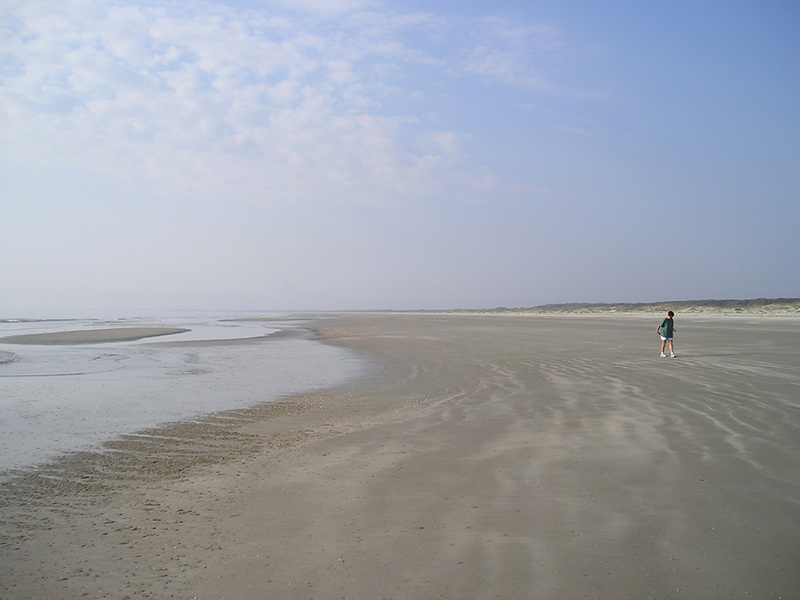 We left early to get to Cumberland Island National Seashore. The island was 90% owned by Andrew Carnegie around the turn of the last century. He built a mansion on the island which is now in ruins. The Carnegie family donated their holdings to the government. There is no bridge to the island and never will be so the population is very small. We anchored out and took the dinghy to the park's dingy dock. It was about a mile across to the beach which is very wide, hard packed, and stretches for miles. Then we walked to the ruined mansion. The island is covered with huge live oaks which shade the palmetto palm underneath. There a lot of Spanish moss in the live oaks. 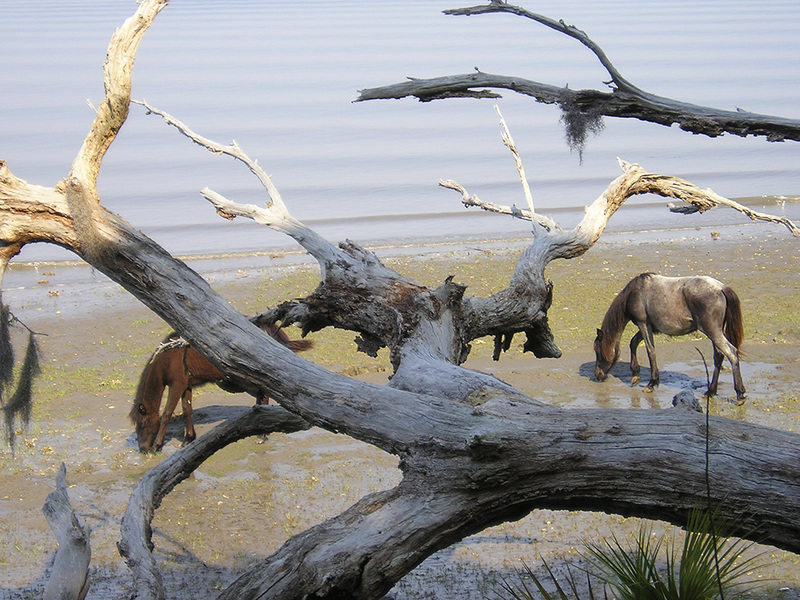 On the way back we saw the wild horses the island is famous for. Around 1230 we pulled anchor and cruised north to Jekyll Island. This island is owned by the Georgia State government but is leased out to various businesses. It was acquired by the New York industrial tycoons in the early 1900's and used to escape New York winters. We docked at the Jekyll Club Hotel dock and it all to ourselves. The hotel was restored in the 80's and is very grand. Jackets and ties are required at dinner. The tide is 8 feet high here so as it dropped we wondered if we would be on the bottom. Although the guide book says there is 11 feet of water at low tide, I measured it as more like 5 feet as we had just 1.5 feet under the keel at low tide. There is a good looking restaurant on the dock but the wait was 45 minutes so we had pizza on the boat.